Anonymous, 28 Sep 2013I am using this mobile last 1.5years, now i have display problem and i have checked with the n... moreSome displays are slightly better! Ive had three lww's and main problems are low pixel density and brightness! One of my lww had far clearer display making reading small txt slightly better than other two! Try reading the text on shadowgun deadzone - its impossible! RITU, 27 Sep 2013where is my files or file manager in sony ericsson wt19iYou have to download file manager app via playstore! suzu, 27 Sep 2013outstanding camera superb screen what a phoneSuperb screen? 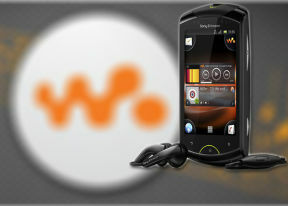 Put it next to xperia t and then tell me its superb! Brightness is bad but overall quality is ok when compared to phones in xperia tipo price range! will the bootloop problem occur again??? AnonD-60230, 24 Sep 2013Hey guys.. I've got a lww but it has older android market instead of playstore and there are n... moreit's not possible without updating ur fon..:( btw ics based custom roms are not laggy...u can try any light ics custom roms .so that u can update Playstore and all..
AnonD-43136, 25 Sep 2013Get a new phone lol! I just use lww for music now and use xperia T as main phone which is very... moreAlso xperia T camera is very zippy with camera button from standby! AnonD-60230, 24 Sep 2013Hey guys.. I've got a lww but it has older android market instead of playstore and there are n... moreGet a new phone lol! I just use lww for music now and use xperia T as main phone which is very smooth with jellybean 4.1.2! Hey guys.. I've got a lww but it has older android market instead of playstore and there are no apps in it! and I dont wanna update my phone to ics as it is very laggy.. What should I do now? aqib new aze, 23 Sep 2013how to upade gingerbread to icecream?? whenever i m going to update from sony ericsson compani... morethat easy mate, you can go to official sony service center in your town to upgrade from GB to ICS. Or you can flash the firmware yourself, for more information just put "xperia live with walkman xda" in google, xda is great source for android device. Teppu, 21 Sep 2013so the new ios is out and i'm curious to know if this phone can get the new ios downloadwhat do u mean? !